International staff is vital when working in foreign real estate, but to start, just choose one or two countries that are vital to your business. Be sure to interview potential hires in person and more than once; Skype isn’t an option. Communication is key to build trust and keep your company moving in the right directions. It’s a similar story in Latin America, where there is a growing demand for our central Florida property, and in the U.K.
We are a successful developer, but not a giant one. We don’t have the resources to have regional offices in each of our major target markets. But we have appointed specialist staff in China and Brazil who assist agents, help organize local marketing efforts and talk with consumers. They are very much part of the Feltrim Group team, as well as being self-sufficient to a degree. Why are overseas specialist staff so crucial for any real estate business selling internationally? They speak the local language and can communicate all aspects of the buying process to investors in their region. They understand subtle cultural concerns that might be lost on others, and they have ready-made connections with other industry professionals that can help you quickly expand your influence in the region. But the whole process of appointing and setting up staff thousands of miles away from you and in very different time zones might seem daunting for agents and developers who are just starting out. As U.S. football player and coach Tom Landry said, setting a goal is not the main thing. It’s deciding how you will go about achieving it and staying with that plan. It’s a big world, and there is a lot of territory for developers and agents to cover. Select one or two of your most important target countries, and focus on building up those before expanding further afield. By choosing one or two countries, you can adequately manage your cash flow and not overstretch yourself. By choosing 1-2 countries, you can adequately manage your cash flow and not overstretch yourself. Never appoint overseas specialist positions in a rush. Take time to properly assess the job requirements and the candidates. You can save time and money by arranging interviews when you visit the country for exhibitions or sales meetings. Take time to properly assess the job requirements and the candidates. Don’t make do with Skype. This situation is one where, unless you know the candidates well beforehand, you need to talk with them face to face. Don’t just interview once, but have several rounds; and to ensure you cover all the important points, have a checklist. You have to be sure that the person you appoint is professional, communicates well and works independently when needed. Above all, he or she must be reliable because working thousands of miles away in a different time zone means remote employees will often have to make decisions on their own. Managing staff halfway across the world, who work 10 or 12 hours behind or ahead of you, is hard work. Unless you have the luxury of managers in the region, they will need to report to you or colleagues in your office. Clear on-the-job targets, instructions and goals must be set in place, and you must regularly follow up; otherwise, it is likely that expectations on both sides will not be met. Make sure that company policy is understood and specialist staff is informed of key discussions and decisions back at the base that influence the projects on which they are working. Otherwise, they can easily be sending out inaccurate or outdated information to buyers. Make sure staff is informed of key discussions and decisions back at the base. Inevitably, trust comes into play. The longer the employee is in place and the more targets met and exceeded, the more the bond between you will develop. Also, remember that you might well be investing considerable time and money in the exercise. If your employee turns out to be as good as you expect, then make sure they are happy in their role — you ideally want to keep them. If your employee turns out to be as good as you expect, make sure they are happy. Now we are in a digital age — with 24-hour updates on social media — it is essential to act quickly and respond speedily, especially to buyer inquiries. It is essential to act quickly and respond speedily — especially to buyer inquiries. If you are making significant changes, such as unit price updates, these need to be coordinated and published simultaneously in all your regions, unless there are good reasons not to. Make sure that news and marketing updates are translated and issued by your international specialist staff. Finally, inevitably, there will be occasions when things do not go quite as smoothly as you hope, and mistakes are made in communication. When mistakes happen, it’s important to correct them as soon as possible and put in place safeguards to avoid them happening again. When you hire international staff, expect your days to get much longer suddenly. As the captain of the ship, you will need to be in regular contact with your staff, investors and others in countries operating in different time zones. My China world starts talking at 8 p.m. When you hire international staff, expect your days to get much longer. Follow these steps, and you’ll have an international staff in no time. 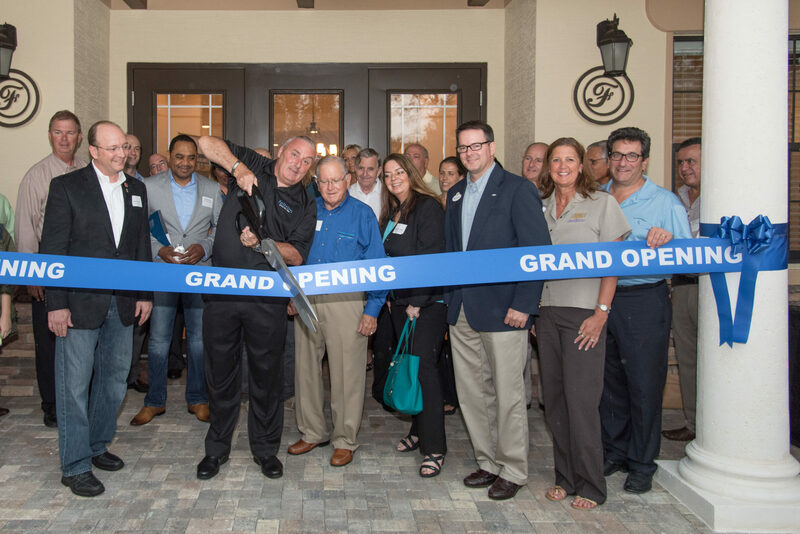 Garrett Kenny is CEO of leading central Florida developer and agency Feltrim Group. Follow him on Twitter at @garrettkenny.